Formed in 2012, BLOCK4 is a London-based recorder quartet featuring Emily Bannister, Lucy Carr, Katie Cowling and Rosie Land. Studying at the Royal College of Music, BLOCK4 presents a dynamic approach to contemporary consort music, as well as offering a captivating interpretation of music from the Renaissance and Baroque periods. The Cerulean Trio brings together the unique combination of a single woodwind and string instrument with piano, resulting in a rich amalgamation of color, textural, and lyrical possibilities. Formed with students from Florida State University, the Cerulean Trio takes its name from the Latin “caerulum,” which stands for heavens and sky. They are usually seen reflecting the blues of sky in their performance attire. The Daraja Ensemble, one of the Fellowship ensembles at the University of Maryland School of Music, is a music collaborative committed to bridging performers with audiences worldwide. The wind quintet seeks to spread the love of music through outreach projects and adventurous, exciting programming. Excelsa Quartet is now the Graduate Fellowship String Quartet at the University of Maryland in College Park, MD. Formed in January of 2009 at the New England Conservatory of Music in Boston, MA, Excelsa Quartet takes its name from “Picea excels,” a distinct species of Northern European spruce trees used to make the top panel of fine string instruments. The Olympus Piano Trio, based in New York City, combines the forces of violinist Regi Papa, cellist Ben Capps, and pianist Konstantine Valianatos. Formed at Juilliard in 2010 to celebrate a passion for chamber music, as well as their shared Hellenic heritage, the Olympus Piano Trio performs a repertoire of classical masterpieces and champions the music of native Greek and diaspora composers. Five world-class ensembles will compete for one of the world’s largest chamber music prizes at the upcoming 2016 Chesapeake Chamber Music Competition, to be held at the historic Avalon Theatre in Easton, MD, on April 9, starting at 1 p.m. The five Competition finalists, BLOCK4 Quartet, the Cerulean Trio, the Daraja Ensemble, the Excelsa Quartet, and the Olympus Piano Trio, were selected from 41 applicants representing some of the finest young chamber music performers in the world. Applications were received from England, Hong Kong, Austria, and the United States. The average age of an ensemble must be under 31, and some have included members as young as 21. The finalists will compete for the Gold Medal prize of $10,000 and the Silver Medal prize of $5,000. 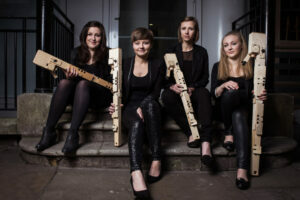 Formed in 2012, BLOCK4 (www.block4.co.uk) is a London-based recorder quartet featuring Emily Bannister, Lucy Carr, Katie Cowling and Rosie Land. Studying at the Royal College of Music, BLOCK4 presents a dynamic approach to contemporary consort music, as well as offering a captivating interpretation of music from the Renaissance and Baroque periods. The quartet’s innovative style has resulted in them being the 2014 winners of the Royal Overseas League Ensemble competition, the first recorder consort to receive this accolade in the competition’s 62-year history. Most recently they were awarded 1st Runner Up at the NonClassical Record label’s Battle of the Bands 2016. They were also awarded a Donemus award for the performance of contemporary music at the Open Recorder Days Amsterdam in 2015. BLOCK4 is the 2015-16 Ensemble in Residence for Handel and Hendrix House Museum in London, a role which will include a concert series in 2016. Their collaborations with Handel House Museum’s composer in residence, Edwin Hillier, and with the London based collective, 840, have inspired them to explore the different sonorities possible on the recorder and to purchase a consort of Paetzold instruments. The Cerulean Trio (www.ceruleantrio.com/) brings together the unique combination of a single woodwind and string instrument with piano, resulting in a rich amalgamation of color, textural, and lyrical possibilities. Formed with students from Florida State University, the Cerulean Trio takes its name from the Latin “caerulum,” which stands for heavens and sky. They are usually seen reflecting the blues of sky in their performance attire. In addition to performing the standard literature for clarinet, viola, and piano, the trio also expands its repertoire by incorporating its own transcriptions and newly-commissioned works. Highlights of the 2015-2016 season include performances on 91.5 WFSQ-FM radio, which was aired nationally, the Monticello Opera House, collaborations with the Southern Shakespeare Festival, educational outreach in schools, and performances at universities throughout the southeast. Its members, who have performed all over the world, maintain active orchestral careers, performing with ensembles such as the Sarasota Orchestra, the Florida Orchestra, Sinfonia Gulf-Coast, and the Orlando Philharmonic. The Daraja Ensemble (www.darajaensemble.com), one of the Fellowship ensembles at the University of Maryland School of Music, is a music collaborative committed to bridging performers with audiences worldwide. The ensemble seeks to spread the love of music through outreach projects and adventurous, exciting programming. 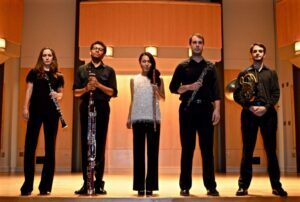 Collectively, this wind quintet holds a wealth of performance experience; members of the ensemble have concertized in nearly every continent and performed with the Boston Ballet, New World Symphony, Arizona Opera, Lunar Ensemble, Symphoria, and the KBS Symphony. Daraja musicians have won several competitions on their respective instruments and have been awarded fellowships to esteemed music festivals including, Pacific Music Festival, Brevard Music Festival, Sarasota Music Festival and the National Youth Orchestra of Canada. Currently, the ensemble is actively performing throughout the College Park and D.C. metro area with future plans to travel to Tanzania as guest teaching artists with Clarinets for Conservation. First Prize winners of “The Provincie Limburg Prijs” along with the “EMCY Artprize” at the Charles Hennen 26th International Chamber Music Competition for Strings in The Netherlands, Excelsa Quartet (www.excelsaquartet.com) is now the Graduate Fellowship String Quartet at the University of Maryland in College Park, MD. Excelsa Quartet was formed in January of 2009 at the New England Conservatory of Music in Boston, MA. Excelsa Quartet takes its name from “Picea excels,” a distinct species of Northern European spruce trees used to make the top panel of fine string instruments. They continued their studies at the Konservatorium Dreilinden in Luzern, Switzerland, and in the Professional Quartet Training Program under the tutelage of the Alban Berg Quartet at the Hochschule für Musik und Tanz Köln in Germany. In 2011, Excelsa Quartet won the ‘Prix du Jury “Jeunes Musiciens” et du Public’ at the Illzach 17th International Chamber Music Competition in France. For the 2014-15 Season, Excelsa Quartet was granted a Fall residency at the St. Lawrence String Quartet’s “Emerging String Quartet Program” at Stanford University, giving them a unique opportunity to perform in various concert and community settings in Stanford, CA. Praised for their “passionate commitment to every note . . .incredibly velvety tone . . . and unanimity of phrasing” (New York Concert Review), the Olympus Piano Trio (www.bencapps.com) based in New York City combines the forces of violinist Regi Papa, cellist Ben Capps, and pianist Konstantine Valianatos. Formed at Juilliard in 2010 to celebrate a passion for chamber music as well as their shared Hellenic heritage, the Olympus Piano Trio performs a repertoire of classical masterpieces and champions the music of native Greek and diaspora composers. Since its formation, the Olympus Piano Trio has been heard in concert throughout the New York City metropolitan region. On November 5th, 2015, the Trio had its Merkin Concert Hall debut sponsored by the Onassis and Hellenic-American cultural foundations, to critical acclaim. The Olympus Piano Trio has performed throughout Greece at such venues as the National Conservatory in Thessalonica, Athens Megaro Concert Hall, and the Kefalonia Music Festival. Dedicated to reaching out to non-traditional and underprivileged members of the community, the Olympus Piano Trio has participated in a wide variety of outreach programs, including an outreach program in spring 2016 at St. Basil’s Academy, a program for disadvantaged children in upstate New York. The members of the Olympus Piano Trio have taught at Juilliard, SUNY Stony Brook, and Hunter College, and have recorded for Sony, Innova, LP Classics and Tzadik labels. The Olympus Piano Trio’s debut album is scheduled for release in 2017 on the LP Classics label. The Chamber Music Competition, which is sponsored biennially by Chesapeake Music, draws qualified applicants from all corners of the world. The average age of an ensemble must be under 31, and some have included members as young as 21. A preliminary judges’ panel of eight notable musicians headed by J. Lawrie Bloom, founder and artistic director of the Chesapeake Chamber Music Festival and the Chesapeake Chamber Music Competition, pared the field of 41 down to five finalists in a blind review of applicant CD submissions. The five finalists will be judged by Marcy Rosen, founding member of the world-renowned Mendelssohn String Quartet and artistic director of Chesapeake Chamber Music; Tara Helen O’Connor, founding member of the Naumburg Award-winning New Millennium Ensemble and head of the wind department at Purchase College Conservatory of Music; and Robert McDonald, recital partner for many years to Isaac Stern and a member of the piano faculty at The Juilliard School since 1999. The audience attending the Competition on April 9 will also have an opportunity to judge each ensemble at the end of each concert. The winner of that judging will receive the Audience Choice Award, announced along with the Gold and Silver Prizes at the end of the evening. Following the April 9 Competition, each finalist group will present an individual public concert at a local venue on Sunday, April 10, 2016. These include BLOCK4 at 1 p.m. at Temple B’nai Israel, 101 West Earle Ave. in Easton, MD; Excelsa at 2 p.m. at The Church of the Holy Trinity, 502 S. Morris St. in Oxford, MD; Cerulean Trio at 3 p.m. at St. Mark’s Methodist Church, 100 Peachblossom Road in Easton, MD; Olympus Piano Trio at 4 p.m. at Christ Episcopal Church, 601 Church Street in Cambridge, MD ($10 per person/students free); and Daraja Ensemble at 4 p.m. at Christ Church St. Michaels, 103 Willow Street in St. Michaels, MD. The Gold Medal prize winner will be further honored with additional concerts, including a featured appearance during the 2016 Chesapeake Chamber Music Festival on June 17. Tickets to the Chamber Music Competition on April 9 are $12 per person and free to students. Tickets will be sold at the door at the Avalon Theatre on April 9, 2016, beginning no later than 12:30 p.m. The program starts at 1:00 p.m. For further information, visit ChesapeakeChamberMusicCompetition.org or call the Chesapeake Music office at 410-819-0380. The Chesapeake Chamber Music Competition is underwritten by the Talbot County Arts Council, the Maryland State Arts Council, and private benefactors. Photo #1: Formed in 2012, BLOCK4 is a London-based recorder quartet featuring Emily Bannister, Lucy Carr, Katie Cowling and Rosie Land. Studying at the Royal College of Music, BLOCK4 presents a dynamic approach to contemporary consort music, as well as offering a captivating interpretation of music from the Renaissance and Baroque periods. Photo #2: The Cerulean Trio brings together the unique combination of a single woodwind and string instrument with piano, resulting in a rich amalgamation of color, textural, and lyrical possibilities. 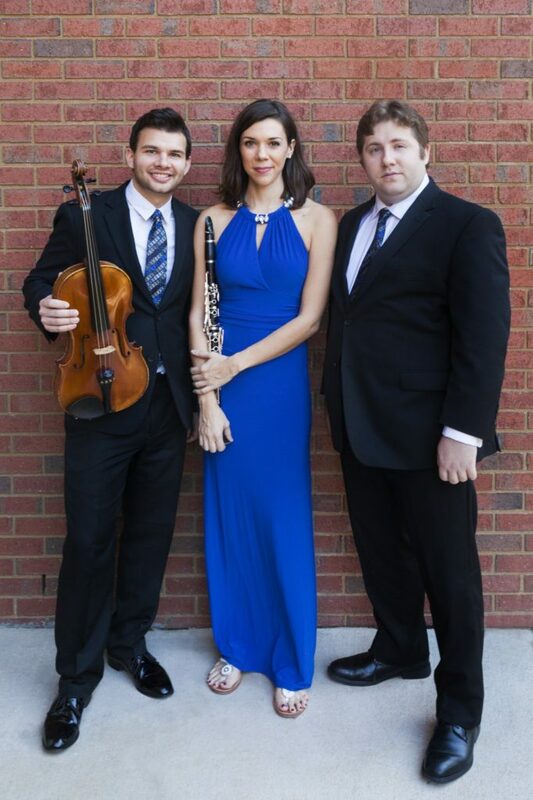 Formed with students from Florida State University, the Cerulean Trio takes its name from the Latin “caerulum,” which stands for heavens and sky. They are usually seen reflecting the blues of sky in their performance attire. Photo #3: The Daraja Ensemble, one of the Fellowship ensembles at the University of Maryland School of Music, is a music collaborative committed to bridging performers with audiences worldwide. 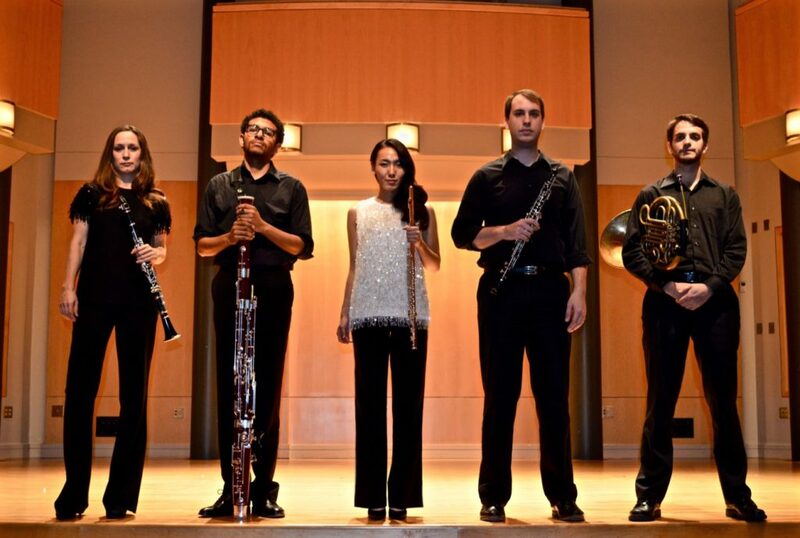 The wind quintet seeks to spread the love of music through outreach projects and adventurous, exciting programming. Photo #4: Excelsa Quartet is now the Graduate Fellowship String Quartet at the University of Maryland in College Park, MD. 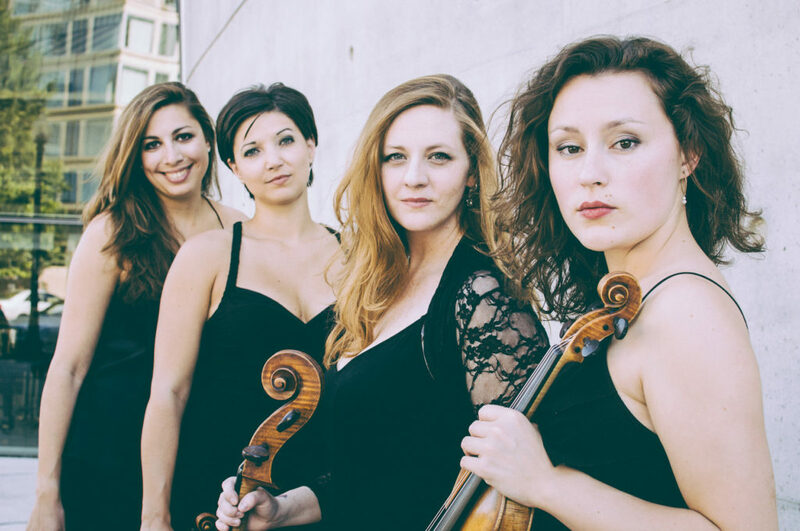 Formed in January of 2009 at the New England Conservatory of Music in Boston, MA, Excelsa Quartet takes its name from “Picea excels,” a distinct species of Northern European spruce trees used to make the top panel of fine string instruments. Photo #5: The Olympus Piano Trio, based in New York City, combines the forces of violinist Regi Papa, cellist Ben Capps, and pianist Konstantine Valianatos. 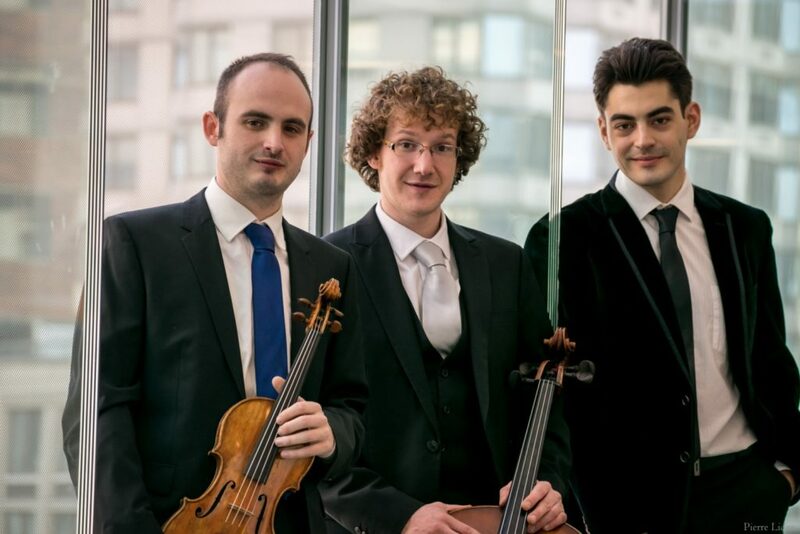 Formed at Juilliard in 2010 to celebrate a passion for chamber music, as well as their shared Hellenic heritage, the Olympus Piano Trio performs a repertoire of classical masterpieces and champions the music of native Greek and diaspora composers.